Islamic Finance has experienced rapid growth in recent years, showing significant innovation and sophistication, and producing a broad range of investment products which are not limited to the complete replication of conventional fixed–income instruments, derivatives and fund structures. Islamic Finance represents an elemental departure from traditional interest–based and speculative practices, relying instead on real economic transactions, such as trade, investment based on profit sharing, and other solidary ways of doing business, and aims to incorporate Islamic principles, such as social justice, ecology and kindness, to create investment products and financial markets which are both ethical and sustainable. Products created according to Islamic principles have shown a low correlation to other market segments and are relatively independent even from market turbulences like the subprime crisis. Therefore, they have become increasingly popular with secular Muslims and non–Muslim investors, as highly useful alternative investments for the diversification of portfolios. Learning from Islamic finance after the global financial crisis; analysis of the risks and strengths of Islamic capital markets compared to the conventional system, financial engineering from an Islamic perspective, Sharia′a–compliant equity investments and Islamic microfinance. 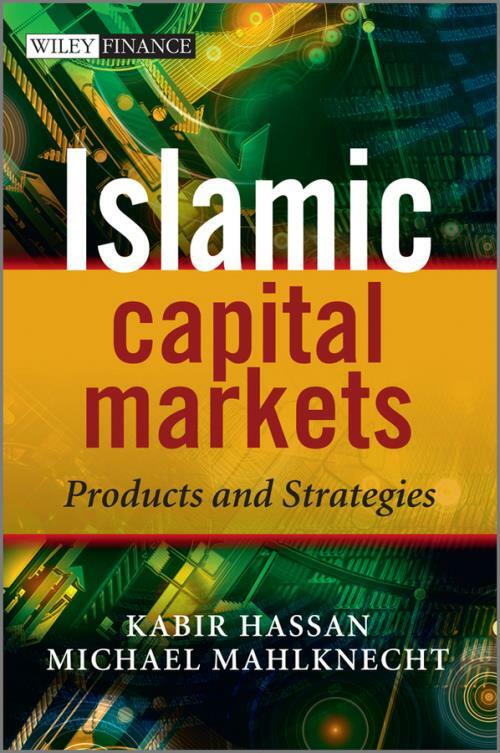 Islamic Capital Markets: Products and Strategies is the complete investors′ guide to Islamic finance. PART I GENERAL CONCEPTS AND LEGAL ISSUES. 1 Rahn Concepts in Saudi Arabia: Formalization and a Registration and Prioritization System (Michael J.T. McMillen). 2 The Shariah Process in Product Development and Approval in ICM (Ahcene Lahsasna and M. Kabir Hassan). 2.2 Product Development, Financial Engineering, and Innovation in Islamic Finance. 2.3 The Shariah Framework in Product Development and Approval. 2.4 The Types of Product in Islamic Finance. 2.5 Process of Product Development in Shariah–Based Products. 2.6 Process of Product Development in Shariah–Compliant Products. 2.7 The Framework and Process Flow of Product Approval in Islamic Finance. 2.8 The Methodology Used in the Approval Process. 2.9 Product Approval in Securities in Islamic Capital Markets. 2.10 Applying the Shariah Advisory Council Methodology. 2.11 Other Methodology of Shariah Screening Process for Securities. 3 Integration of Social Responsibility in Financial Communities (Sayd Farook and Rafi–Uddin Shikoh). 3.2 The Conflicting Ideologues within Islamic Finance. 3.3 Core Motivations of Conventional Business Models and Their Social Responsibility Mandates. 3.4 Islam, Business, and Social Responsibility. 3.5 Case for Broader Social Responsibility Mandate. 3.6 Current Challenges and Recommended Approach to Islamic Social Responsibility. 3.7 Disclosure as a Means of Accountability. 3.8 Lessons from Current Socially Responsible Business Practices. 3.8.1 Key Lessons from Current Practices. 4 The Dispute Resolution Framework for the Islamic Capital Market in Malaysia: Legal Obstacles and Options (Umar A. Oseni and M. Kabir Hassan). 4.2 The Legal Framework of the Islamic Capital Market in Malaysia. 4.3 The Nature of Disputes Among Market Players. 4.4 Constraints and Concerns Over the Current Legal Framework. 4.5 Dispute Resolution Models for the Capital Markets. 5 The Small World of Islamic Finance: How Good Governance can Assist in Taking the Islamic Finance Industry to the Next Level (Murat Ünal). 5.2 Shariah Scholars in the GCC – A Network Analytic Perspective. 6 The Alpha and Omega of Abrahamic Finance (Mufti Talha Ahmad Azami and Shahzad Siddiqui). 6.4 Socially Responsible Investing (SRI) Funds. 6.6 Alpha: Quantitative Results of Abrahamic Funds. 6.7 Amana and the Benchmarks. Appendix: The Abrahamic Family Tree. PART II GLOBAL ISLAMIC CAPITAL MARKET TRENDS. 7 Islamic Derivatives: Past, Present, and Future (Priya Oberoi and Ali Rod Khadem). 7.2 Formal Shariah Objections and Solutions. 7.3 Substantive Shariah Objections and Resolutions. 7.4 Islamic Swaps and Currency Transactions. 7.5 ISDA/IIFM Tahawwut Master Agreement, Published 1 March 2010. 8 Overcoming Incentive Problems in Securitization: Islamic Structured Finance (Andreas A. Jobst). 8.2 Incentive Problems of Conventional Securitization. 8.3 The Rise of Islamic Finance. 8.4 The Case of Islamic Securitization. 9 The Evolution of Takaful Products (Mervyn K. Lewis). 9.2 Organizational Structures and Operational Models. 9.3 Product Development and Prospects. 10 A New Model for Options in Islamic Law (Valentino Cattelan). 10.1 Looking for Islamic Derivatives: A Legal Oxymoron? 10.2 Options, Western Law, and Islamic Justice. 10.3 Khiyâr ash–shar? and al–′urbûn as Islamic Analogues to Options: Critical Elements. 10.4 In Search of a Shariah–Based Substitute: The ijâra wa–hiba Structure. 10.5 Trading ijâra wa–hiba Options? Clearing House, Issuance of ?ukûk al–manfa a, and Lack of Speculation 10.6 PricingS. ukûk al–manfa a in Relation to the Rental Rate of Return. 10.7 ijâra wa–hiba Options and the Path towards Legitimacy. PART III NATIONAL AND REGIONAL EXPERIENCES. 11 Building up an Islamic Capital Market: The Malaysian Example (A. Usama DeLorenzo). 11.2 The Beginnings of Shariah–Based Finance in Malaysia. 11.3 The Islamic Capital Market in Malaysia. 12 Islamic Finance in Germany: Trends, Opportunities, and Potential (Azadeh Farhoush and Nicolas Schmidt). 12.2 Research and Studies on the Muslim Population in Germany. 12.3 Analysis of the Attitudes and Preferences of the Muslim Population in Germany Towards Financial Products. 12.4 Conclusion and Practical Implications for Financial Institutions in Germany. 13 Islamic Finance in France: An Emerging Market? (Ibrahim–Zeyyad Cekici and Laurent Weill). 14 Islamic Finance in the United States (Blake Goud and M. Kabir Hassan). 14.2 The United States as a Destination for Shariah–Compliant Investment. 14.3 Wholesale Islamic Finance within the United States. 14.4 Mutual Funds and Exchange Traded Funds. 14.5 Legal, Tax, and Regulatory Issues in Islamic Finance. 14.6 Sukuk Issued by US–Based Companies. 15 An Analysis of Global Trends and Regional Pockets in the Application of Islamic Financial Contracts in Malaysia and the Gulf Cooperation Council (Anne–Sophie Gintzburger). 15.1 Regional Pockets and Global Trends. 15.2 The Influence of the Shariah Framework. 15.3 The Function of Shariah Boards. 15.4 The Role of Shariah Boards in Malaysia. 15.5 The Role and Function of Shariah Boards in the GCC. 15.6 Convergence Between the GCC and Malaysia. 15.7 Slight Divergence in Interpretations. 15.8 The Impact of the Regulatory Dimensions of the Jurisdictions. 15.9 The Role of the Creation of International Hubs in Harmonizing Views. 16 Developments in Islamic Finance Practice: The Experience of Australia (Abu Umar Faruq Ahmad and M. Kabir Hassan). 16.2 State of the Australian Economy in the World. 16.3 Potential Problems in the Development of Islamic Finance in Australian Market. 16.4 Prospects of Islamic Finance in Australia. 16.5 Summary, Findings, and Recommendations. PART IV LEARNING FROM ISLAMIC FINANCE AFTER THE GLOBAL FINANCIAL CRISIS. 17 The Current Financial Market Crisis: Lessons Learned, Risks and Strengths of Islamic Capital Markets Compared to the Conventional System (Rasem N. Kayed, Michael Mahlknecht, and M. Kabir Hassan). 17.2 Causes of the Global Financial Crisis. 17.3 Some Implications of the Global Financial Crisis. 17.4 Can Such Crises Occur Under an Islamic Financial System? 17.5 The Prohibition of "Bad" Risks in Islamic Finance. 18 An Islamic Perspective of Financial Engineering (Sami Al–Suwailem and M. Kabir Hassan). 18.2 Financial Engineering: Definition and Concept. 18.3 Principles of Islamic Financial Engineering. 18.4 Strategies for Product Development. 18.5 Challenges in Financial Engineering in Islamic Finance. 19 Shariah–compliant Portfolio Management: Processes, Methodologies, and Performances (Shehab Marzban). 19.2 Shariah–compliant Portfolio Management Process. 20 Islamic Microfinance: The Way Forward (Mohammed Obaidullah). 20.1 Modes of Islamic Microfinance. 20.2 Instruments of Islamic Microfinance. 20.3 Islamic Microfinance Projects Across the Globe. 20.4 Product Development in Islamic Microfinance Sector. 20.5 Meeting Funding Requirements of Islamic Microfinance Sector.